Azerbaijan and Iran held talks in Baku on Feb.7, 2017. A new railway line will connect the border cities in Iran and Azerbaijan. 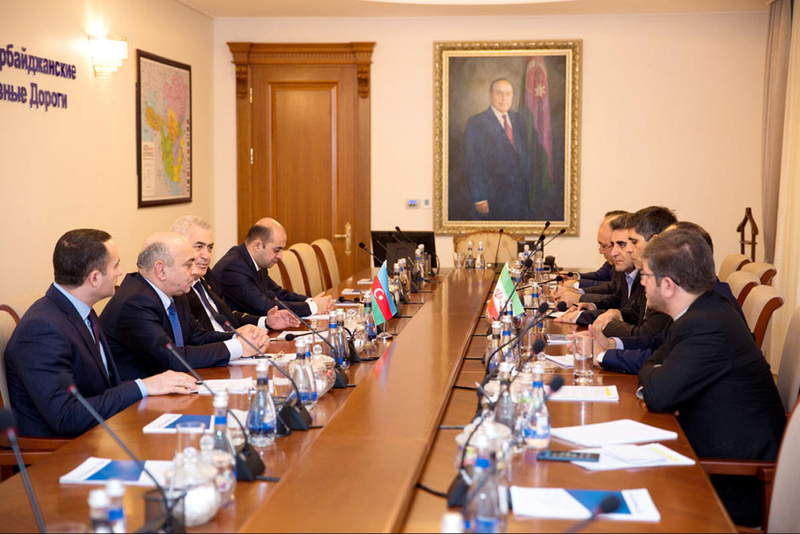 A section of the North-South International Transport Corridor (ITC) will be commissioned in March, Saeed Mohammadzadeh, Iran’s Vice Minister of Roads and Urban Development, said on Feb. 7 during talks with Javid Gurbanov, Chairman of Azerbaijan Railways CJSC. The section comprises of a railway line connecting the Azerbaijani port of Astara to the neighbouring Iranian city of Astara, Mohammadzadeh said. According to Mohammadzadeh, the construction of a railway station and terminal for transshipment of cargo in the Iranian port of Astara is going on at an accelerated pace. The North-South ITC will connect northern Europe to India and Southeast Asia and will serve as a bridge to connect the railways of Iran, Azerbaijan and Russia.